Along the Korean peninsula is the one hundred and fifty-five mile long demilitarized zone (DMZ) dividing the North and South. 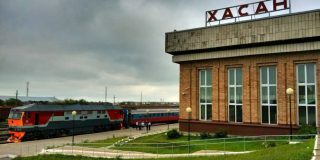 It is four kilometers wide and divided by the Military Demarcation Line (MDL). The northern edge of the DMZ is called the Northern boundary and the Southern edge is called the Southern boundary. Along the Southern boundary, the Republic of Korea (ROK) armed forces have established General Out Posts (GOP) and, within the space between the MDL and southern boundary, guard posts (GP). The missions of the GOP forces is to make contact with approaching enemy forces and protect the main force from a surprise attack: to delay, disperse, and weaken the enemy advance. The southern boundary coincides with the South’s GOP forces line, and the GPs are established to provide more security for the GOP forces. The GPs are usually a small military base or settlement within the southern part of the DMZ between the MDL and southern boundary. The North Koreans have a similar, but slightly different, concept. Along the northern boundary, the Korean Peoples’ Army have established their own defensive facilities; an electrical fence, land mines, tank obstacles, booby traps, and a whole lot more. The North Koreans also have GPs within their space, about three times more than the south. These GPs are underground and concealed from view. The North Korean GPs are connected by triple wire fences and landmines. These fortifications have de facto moved the northern boundary south, close to the MDL. In addition, these North Korean GPs are a likely starting point for an attack south, and could be used as entrances for the numerous tunnels that is estimated to exist along the DMZ. The average distance between a North Korean GP and a South Korean GP is about one mile. But in some cases the distance is within shouting distance, dangerous for both sides. As years past, the South’s GP/GOP role continued to be the monitoring of the peace agreement and maintaining the armistice, but the upgrading of fortifications continued on both sides of the border. Instead of being temporary facilities, these lines have become borders. Patrols and ambush operations continue to prevent infiltration or defection from both sides. North Korea has been more enthusiastic in this effort: at the height of tensions, the North would challenge the integrity of the DMZ and publicly denounce the armistice agreement. Since the warming of relations between the South and North this year, a number of military measures have been pursued to build confidence between the two. 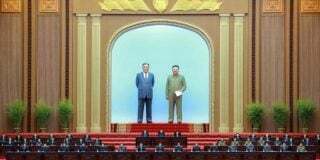 In the first meeting, the two Koreas agreed to re-connecting the land communications along the west and eastern corridors followed by re-establishing radio communications in the West sea; an area with a history of a military clashes between the North and South. 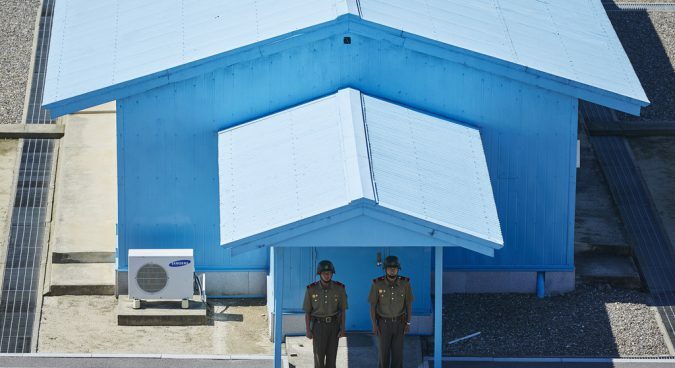 The two Koreas continue to negotiate on completely disarming the Joint Security Area in Panmunjom, a project to recover the remains of soldiers within the DMZ, and the withdrawal from one or two GP each from the DMZ that could lead to ten in the future. These GPs were chosen mainly because of the proximity to each other, and media report that they are about seven hundred yards away. South Korea’s GPs are supervised by the United Nations Command. They not only fly the Korean national flag, but the UN flag as well and are under strict supervision by the United Nations Military Armistice Commission. Adherence to the armistice agreement is absolute, with regular inspections by not only the United Nations Command but the Neutral Nations Supervisory Commission as well. The Northern GPs are a different story. They are underground and secretive. Crew-served weapons, a violation of the armistice agreement, are regularly observed. 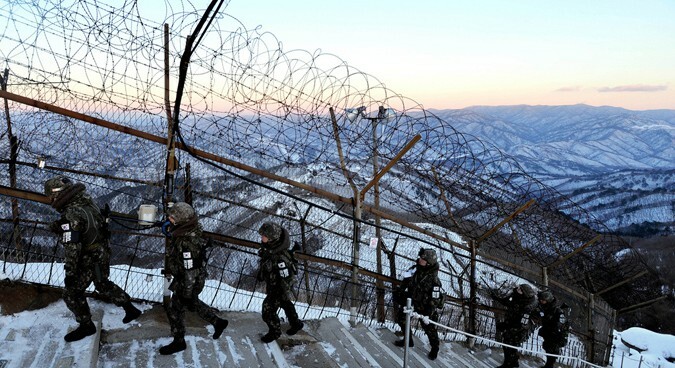 The North have also connected their GPs by a six foot fence: a move that has advanced the North Korean fence line about one kilometer inside the DMZ on average. 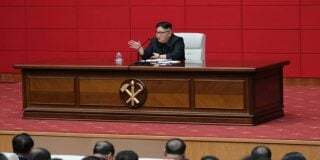 Because of these violations, if both the two Koreas were to withdraw the GPs, the North would be forced to give up the aggressive nature of their GPs. Another advantage for the South would be the possibility of degrading the North’s ability to conduct tunnel operations. A major threat to the South is the existence of an unspecified number of underground tunnels that might cross the DMZ and funnel hundreds, if not thousands, of North Korean Special Forces into South Korea. The entrances to these underground tunnels are believed to be in some of these North Korean GPs. If the North GPs are withdrawn, and if indeed the entrances exist, the South would gain a significant advantage. The North Koreans also have about three times more GPs than the South. 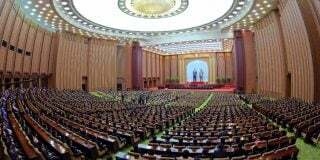 As discussion and negotiations progress, it seems likely that for every one South Korean GP that at least three North Korean GPs will be withdrawn. This will be a long and effort-driven negotiation process. A key challenge for these activities in the DMZ is the thousands, if not hundreds of thousands, of mines that are in the area. The North Koreans are assumed to have more mines to clear than the South. Militarily, the reductions of one or two or even ten GPs will not that be significant for both sides. But symbolically this demilitarization could have great significance if it were to last and continue. Only time will tell, but this author believes we must give it a try. Subscribe to read the remaining 933 words of this article. 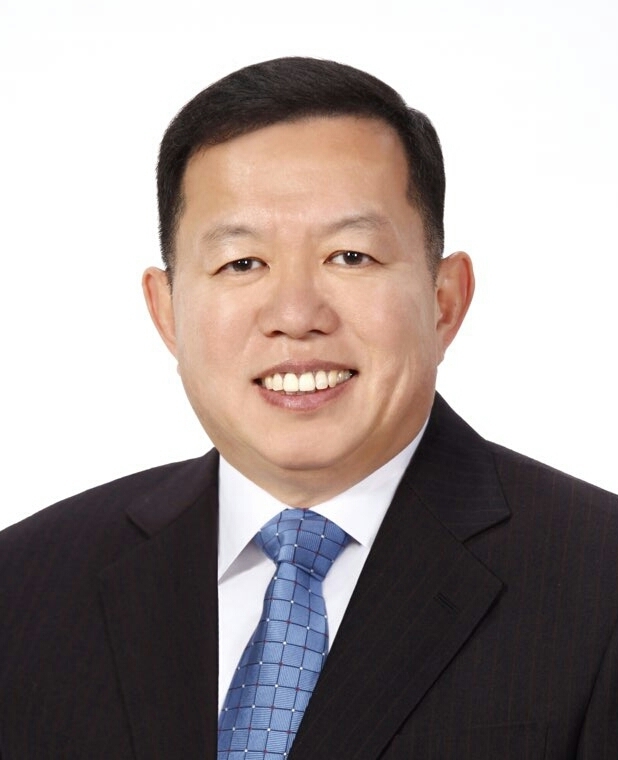 Retired Lieutenant General In-Bum Chun entered the Korea Military Academy in 1977. Chun was commissioned an infantry officer in 1981 as class 37. Chun became the youngest officer in the Republic of Korea (ROK) Army history to be an aide to a three-star general with the rank of lieutenant. From April 2015, he was the deputy commander for the First ROK Army. Chun retired from active duty as of July of 2016, and is now a Visiting Fellow in Foreign Policy, at the Center for East Asia Policy Studies at the Brookings Institute.